Latest earthquakes map and list (past 24 hours, M2.5+). Tap/click on "gear icon" for options and settings. The USGS Earthquake Hazards Program is part of the National Earthquake Hazards Reduction Program (NEHRP), established by Congress in 1977, and the USGS Advanced National Seismic System (ANSS) was established by Congress as a NEHRP facility. 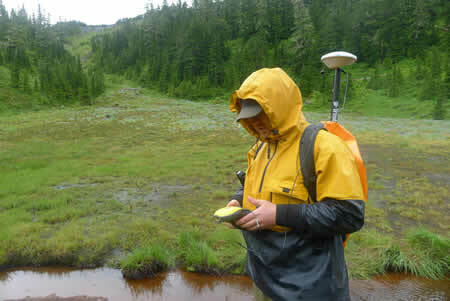 The USGS and its partners monitor and report earthquakes, assess earthquake impacts and hazards, and perform research into the causes and effects of earthquakes. Geologic Cracks Record Earthquakes on the Reelfoot Fault in Central U.S.
New high-resolution lidar data reveals cracks produced from strong shaking in past earthquakes iin the New Madrid seismic zone. The U.S. Geological Survey (USGS) is currently soliciting project proposals for Fiscal Year (FY) 2020 grants on earthquake hazards science and is authorized to award up to $7 million total. Information about real-time earthquakes, online catalog search of archives, seismicity maps and statistics. 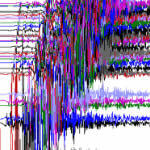 Monitoring, station, and other various seismic data available for download. Data products to view and download. 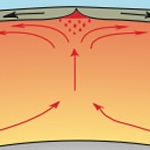 The science of earthquakes, FAQ, glossary, links to earthquake topics, Earthquakes for kids. Global, national and regional networks recording earthquakes and crustal movements, maps, station information, real-time seismic waveforms. Research projects in the Earthquake Hazards Program, external research support, science center activities, software.